Car shopping can be exhausting – we get it. You have to spend time researching the right car and deciding on both make and model. You’re still not done, though – you now have to choose a place to shop that’s going to meet all of your needs. It’s definitely time-consuming and it’s tempting to just sign the dotted line and climb behind the wheel. However, there’s one more step that you should take before you let that ink dry – taking a test drive. Why is a test drive so important? We know – some car dealers will sell you a car online and even deliver it to your house. You don’t even have to leave the comfort of your couch except to get up and collect your keys at the door. However, you lose out on a lot if you buy a car online and taking a test drive is a good way to ensure that you’re ACTUALLY getting what you want when it comes to your next ride. Don’t believe us? Check out these 5 N Charlotte Toyota reasons you should never skip out on your test drive. Reason #1: You can inspect the car from bumper to bumper. If you test drive the N Charlotte Toyota you want before you buy, you’ll have the opportunity to do a bumper to bumper car inspection. This will give you a shot to inspect the interior for any damage, excessive wear and tear, or bad smells. You can also test things like the A/C and heat, the audio system, the headlights, and any other gadgets inside the cabin. You can scope the exterior, too, looking for things like paint damage, accident damage, and check the tires and suspension while you’re at it. Reason #2: You can spot any problems or potential problems. If you take the time to conduct a test drive, then you’ll be able to make sure the car doesn’t have any problems or potential problems. You’ll be able to notice any odd noises, smell anything out of the ordinary, and look for leaks. You can pop the hood to ensure everything is in good condition AND notice any issues that might arise once you crank the engine and hit the road. Reason #3: You can ensure you’re comfortable in the driver’s seat. If you’re not comfortable in your new car, you’re going to hate it. It’s important to climb into the driver’s seat to ensure that it’s comfortable and that you can reach everything with a few adjustments. You’ll also want to check out the backseat of the car for its passenger capacity, especially if you’re going to install car seats or booster seats, and check for any blind spots that could be problematic. Reason #4: You can see for yourself how the car handles. What if the N Charlotte Toyota you want to take home doesn’t have the acceleration you have in mind? What about turns and braking? Can you park it both perpendicularly and parallel? Make sure the car performs the way you want it to – you can’t bring it back if it doesn’t. Reason #5: You’ll have access to other options if you change your mind. The best part about a test drive is that if you change your mind about the car and decide it’s not right for you, you’re surrounded by other options. You’ll also have our knowledgable sales associates at your dispoal, and they can show you other similar options and answer any questions you might have. Ready for YOUR test drive? Call Toyota of N Charlotte today to schedule it at (704) 875-9199. 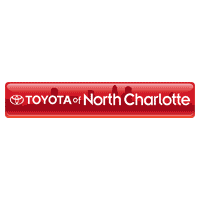 Toyota of North Charlotte	35.4012949, -80.8532796.